NEW!! 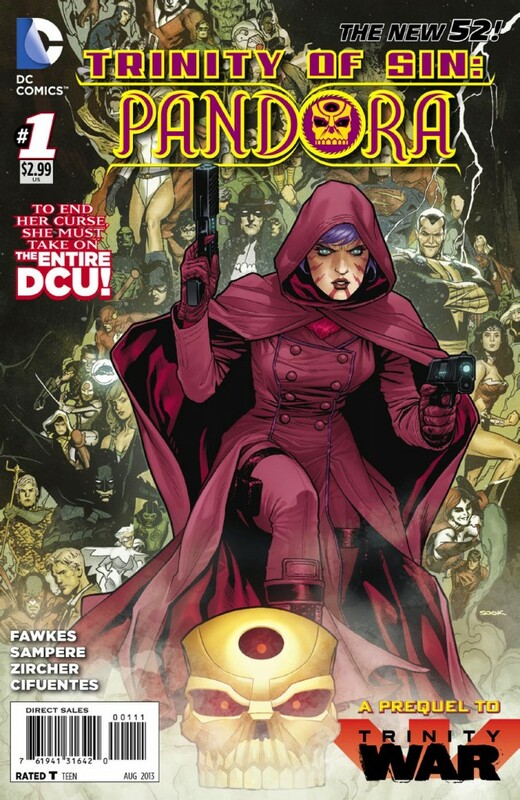 Pandora #1 - "That was the day I destroyed the World..."
This first issue was surprisingly good for what I thought would be mainly a marketing tool...written by Ray Fawkes, it immediately endeared me to the character of Pandora, her choices and her tragic life as a cursed immortal...I'm quite interested to see where it goes! There's so many possibilities when you have a character whose life affects literally EVERYONE else in the Universe! What other comics made my top 5 this week? Find out after the JUMP! 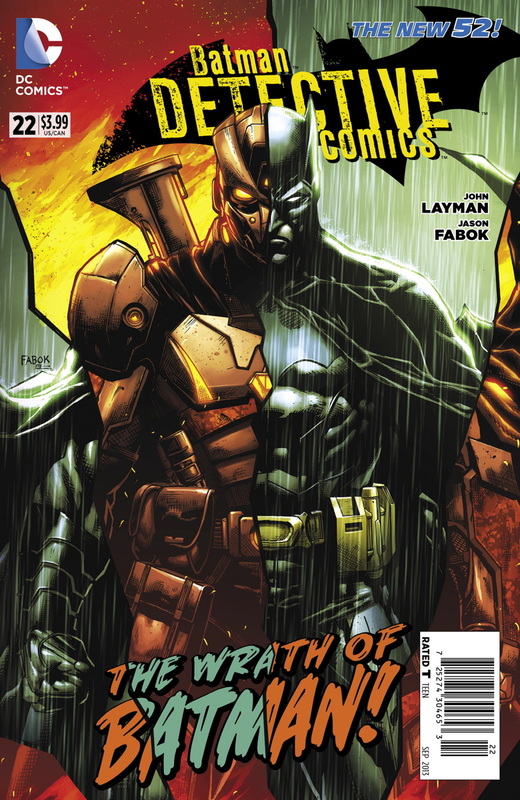 Detective Comics #22 - "A new villain's come to Gotham. One who murders cops." A dark, caped figure drops silently down from the shadowy rooftops into a dark alley in the heart of Gotham City. He flits silently through the shadows of another violent crime scene. He...pulls out an automatic rifle and blows the head off of a policeman??. Wrath has come to Gotham...a villain who looks and acts a LOT like the Batman, but who's murdering cops in the streets! A villain who is coincidentally using arms from a company called Caldwell Tech. This is a weapons technology company run by E.D. Caldwell...a billionaire much like Bruce Wayne...who's just set up shop in Gotham and has already offered to purchase Wayne Industries! Gee, could there be some connection? Intriguing story! Not only do we meet Wrath, but also his apparent sidekick Scorn! The parallels between this villain and the Caped Crusader keep coming! I'm very curious to see what happens next! 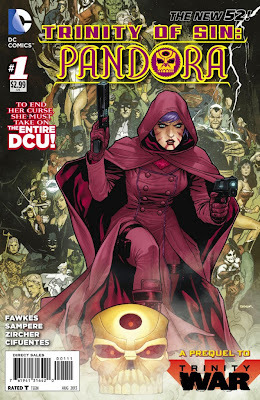 Oh and check out the cover art...very cool! 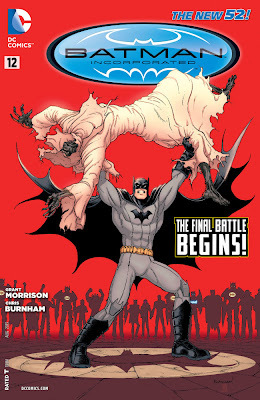 Also this issue, the continuation of the very intriguing Man-Bat backup story! Dr. Kirk Langstrom continues to try and prove himself innocent of transforming into a mindless bat-monster and mauling people at nights...even if he's not entirely sure that he IS innocent! 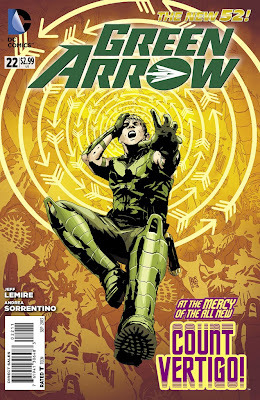 Green Arrow #22 - "I thought I'd try the direct approach..."
After finally catching up to Magus last issue and learning at least SOME of the truth about his family and his life, Oliver Queen is ready to get his act together and catch his father's killer. Magus told him that in order to catch Komodo, he must find the "other two dragons". That's fairly ambiguous but he also included direction to locate the first dragon at least...in a tiny European country called Vlatava! So Green Arrow has to break into a castle in a far off land in search of a dragon. Well, at least the dragon is a metaphor. The castle is real, though...and heavily guarded! Luckily, thanks to the help of techies Naomi and Fyff, Oliver's got a lot of neat new tricks up his quiver! Castle walls and strange metaphors are no match for the awesome power of ARROWS!!! Of course, the cover gives it away...the OWNER of the castle goes by the name Count Vertigo and could foreseeably cause some trouble. Also this issue...another SHOCKING reveal about Oliver's family! I mean it...I was really shocked! Great issue! Action Comics #22 - "Do you have an Earth word for 'Shut Up'? I'm in the middle of something here." This month's Action Comics continues right from last weeks' Superman as giant-headed psychic Hector Hammond and the minions of H.I.V.E. are planning something nefarious in orbit around the Earth...they've got a death-starry type weapon and bad intentions! At least they HAD those things...until someone came flying along and punched their space-weapon into so much junk. Superman?? No...this is someone else...a bearded, green-skinned warrior declaring himself Straith - First Knight of the Pax Galactica!! Say what?? Also this issue the continuing saga of Jor-El and Lara Lor-Van's adventures on Krypton as the Kryptonian military attempts a coup! Jor-El of course is a scientist while Lara is a cadet of the military academy...yet they must work together if they are to save Krypton from disaster! Wacky but fun issue! 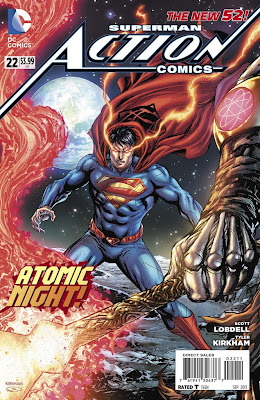 Another really cool cover too...Superman standing on the moon with the Earth floating over his shoulder...nice! 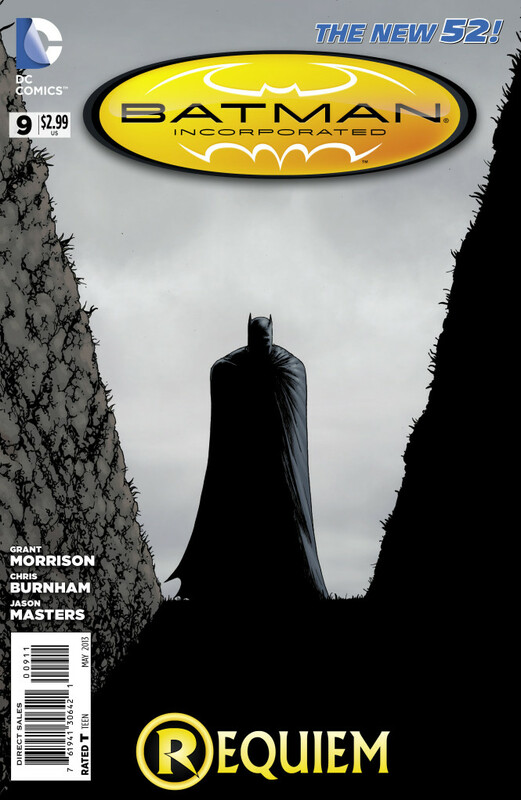 Batman Incorporated #12 - "Why can't he admit defeat? Why won't he stop?" When last we saw the Caped Crusader, he had donned both the Suit of Sorrows (a mystical armour that prevents the wearer from damage) and a crazy bat-like flying exo-skeleton and then injected himself with Man-Bat serum all in preparation to lay siege to Wayne Tower, where Talia Al Ghul and the criminal syndicate Leviathan have taken over! Batman is ready to repay Talia and her pet monster, the Heretic, for the death of his son! Great issue with a ton of action and still a lot of mystery left! Maybe too much...apparently there is only ONE ISSUE left of Batman, Incorporated for Grant Morrison to wrap up his mega-epic Batman story for good and all! I don't know how he's going to tie it all up, but I can't wait to find out! Right and that's another week! Have a good one! Peace and love ya freaks!